International Draughts Federation (IDF) in accordance with the Calendar of competitions in 2017 holds from 5 to 12 November 2017 in Tbilisi (Georgia) 5th stage of the World Cup 2017 in draughts-64 – International competition “Georgia-2017”. Competitions are held in the hotel “Kalasi”, which successfully hosted European Draughts-64 Championship 2016 among men and women. 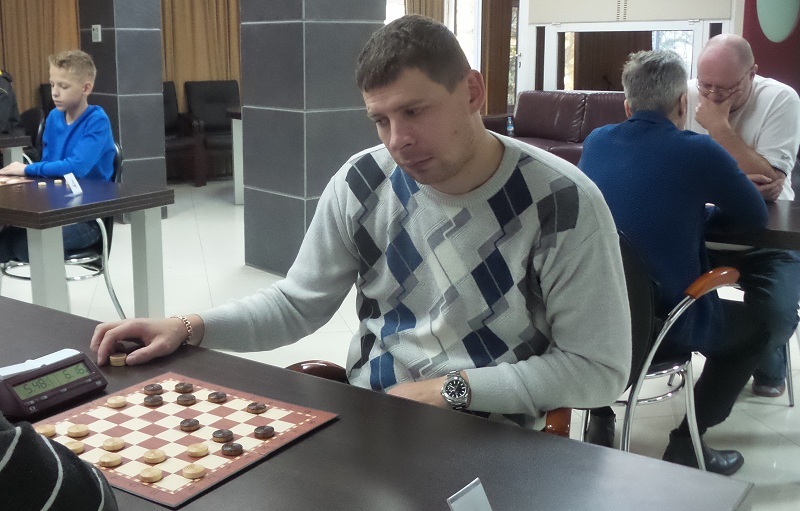 International grandmaster Dmitry Tsinman won Blitz. 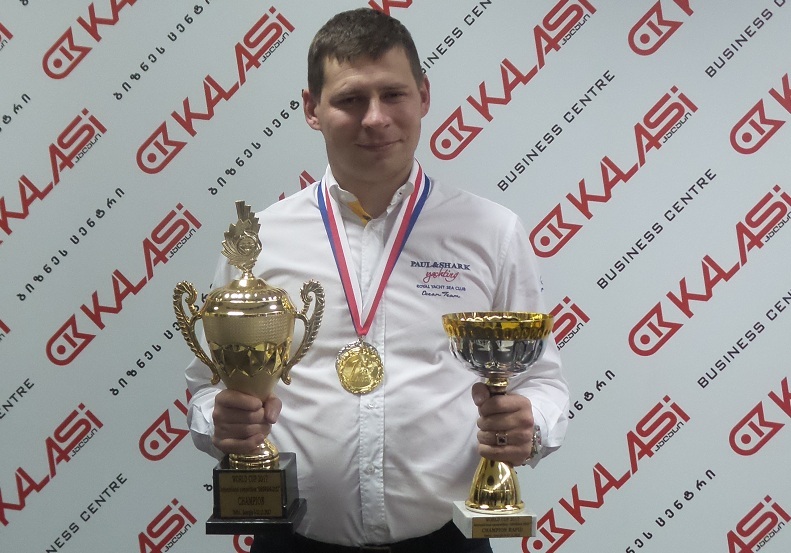 International grandmaster Sergei Belosheev won Rapid and Classic program. 11-11-2017 The classic program of the 5th stage of the World Cup 2017 in draughts-64 is completed. The winner of the classic program with the result of 11 points became International Grandmaster Sergey Belosheev, who already won the Rapid program. Arunas Norvaishas took second place and Vladimir Skrabov is on the third place. He won in the last round youth Ivan Ilyasov and by coefficient broke into the top three. In women Olga Balukova, Anna Filipenko and Ekaterina Ivanova are in the top three. 11-11-2017 In the 6th round, Sergei Belosheev won from Vladimir Skrabov and with a score of 9 points went to the first place in the table. Arunas Norvaishas, Dmitry Tsinman, who won Dmitry Melnikov, and Andrei Gnelitsky have 9 points. They will fight for the medals in the final round. 10-11-2017 After 5 rounds of the classic program International Grandmasters Arunas Norvaishas, Vladimir Skrabov, Sergei Belosheev and International Master Andrei Gnelitsky lead with the result of 8 points. In women Olga Balukova and Ekaterina Ivanova have 5 points. 09-11-2017 Classic program started. 3 rounds are held today. See current results. 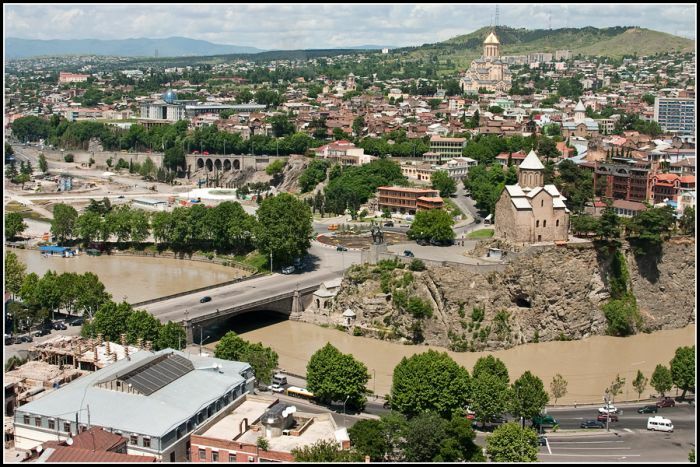 08-11-2017 Today the participants went on excursions around Tbilisi and Georgia. 07-11-2017 Rapid program in the Brazilian draughts was held today. See results. Competitions were held on the Swiss system in 7 rounds. 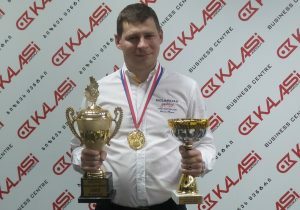 The winner of the Rapid program with the result of 12 points became International Grandmaster Sergei Belosheev. The second and third place with the result of 11 points took International Grandmasters Dmitry Tsinman and Vladimir Skrabov respectively. In women Olga Balukova, Svetlana Streltsova and Ekaterina Ivanova are in the top three. Schoolchildren of Tbilisi came to the competitions to watch the game of the leading grandmasters of the world. Grandmaster Nika Leopoldova held a simultaneous game for them. 06-11-2017 International grandmaster Dmitry Tsinman with a score of 13 points became the winner of the Blitz program. 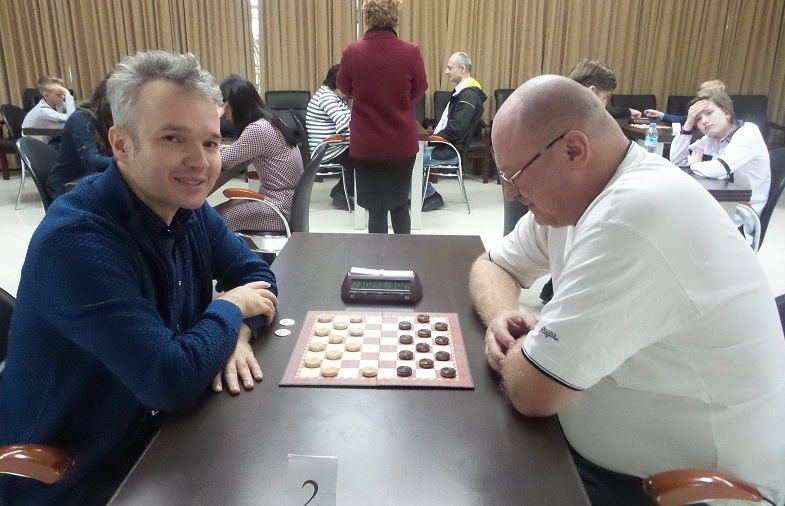 International Grandmaster Sergei Belosheev is in second place. He has 12 points. In third place is Vladimir Scrabov, who was in the lead with Dmitry Tsinman before the last round, but unexpectedly losing to multiple Georgian champion Levan Kiknadze. In women with a score of 8 points Olga Balukova, Anna Filipenko and Kseniia Kamyshanskaia are in the top three. 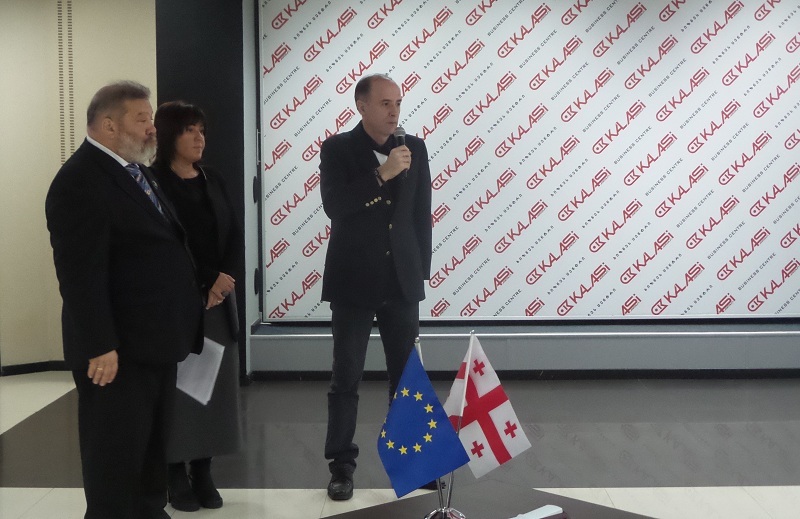 06-11-2017 Today in Tbilisi, at the hotel “Kalasi”, which successfully hosted European Draughts-64 Championship 2016 among men and women, the 5th stage of the World Cup 2017 in draughts-64 started. At the opening of the competition participants welcomed the President of the International Draughts Federation Vladimir Langin, representatives of the Ministry of Sport and the United Draughts Federation of Georgia and the representative of Tbilisi City Hall. The world champions 2015 Sergey Belosheev (Russia) and Arunas Norvayshas (Lithuania), winners of the World Cups of different years Vladimir Skrabov and Dmitry Tsinman (Russia), winners Stages of the World Cup and major international tournaments, international masters Andrey Gnelitsky, Dmitry Melnikov, Ekaterina Ivanova, the strongest Georgian players, such as Levan Kiknadze, Alexander Beruashvili, Djamber Berishvili take part in the competitions. Blitz program started at 15.00. See current results. – 5th Stage of World Cup 2017 in draughts-64-International competition “Georgia-2017” 5th November (arrival day) to 12th November (departure day) 2017. 5th stage of the World Cup will be held in three programs: Blitz, Rapid and Classic. Blitz and Classic programs will be held according to the international/Russian version of draughts-64. Rapid program will be held in Brazilian version. Tournament fee is 60 euros. Women, veterans 60 years and older, youth under 27, representatives of Georgia pay a tournament fee of 50 euros. Accommodation of participants is in the hotel “Kalasi”, at the address: Kote Afkhazi str. 25, 0105, Tbilisi (Georgia). Applications for participation in competition and booking accommodation must be submitted to the office of International Draughts Federation not later than 6th October 2017.